Nu flow liners are designed to maintain or restore liquid flow in piping. It provides an important barrier between pipe walls and liquid. It stops leaks, bridges gaps and closes holes in piping. It is installed using an effective process for coating the inside of galvanized and copper piping. It is the epoxy pipe lining technology that makes it so effective. This is something that happens to all kinds of piping systems. Pipe corrosion begins the minute the system starts being used. This is a natural form of deterioration. 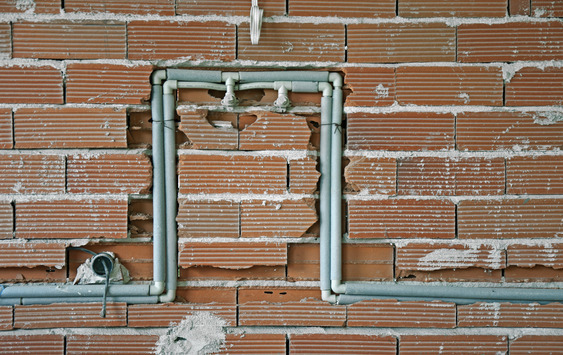 There are adverse effects that come with corrosion build-up. Drinking water can become colored, taste bad or smell bad as a result. It can also lead to poor water flow as well as heat transfer. Pinhole leaks can develop that cause high levels of chlorine exposure. Nu Flow epoxy lining is a long-term solution. It can prevent breaks, blockages, mold growth and more. Once the piping is mapped and spot-checked, the pipes are dried with compressed air that is heated. Then an abrading agent that is safe will be forced through the piping system. This will eliminate rust and corrosion. The eliminated products collect in a holding unit and are disposed of at a later time. The compressed air is used in the piping system a final time. This will remove any fine particles that may still be present. Before the epoxy coating is applied, the optimal internal surface temperature will be created in the piping. An air pressure leak is done. Conditioned air is put into the piping, and the epoxy coating is evenly distributed in the piping segment. Once the coating application is complete, controlled air is put into the piping so epoxy curing can occur. This pipe lining system provides an important way to service portable water systems, service mains and provide water filtration solutions for entire buildings. It has been made to provide lining for all types of piping. It can restore a piping system and easily do away with the chance of dangerous levels of heavy metals building up. It is cost effective and can be done in a timesaving way. The coating provided is UPC-listed as well as is UL classified to NSF/ANSI Standard 61. 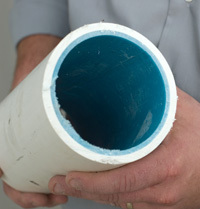 The epoxy pipe lining system can be used for trenchless pipe repair drain and sewer lining. It is able to restore failing and deteriorated piping systems in buildings, underground piping systems, under building foundations and more. It can be used to restore small diameter piping. Even if the piping is as small as three-quarter inch in diameter. It’s effective with piping systems that have multiple bends, branches as well as elbows. The liners can be installed, and the piping can be used within hours. It causes minimal disruption to a business operation or for people in their home. The resin utilized is non-toxic and odorless. These liners are able to span a void if some sections of old piping are missing. They are chemical resistant. The liners were tested. They were able to withstand being immersed with chemicals such as hydrochloric acid for up to three months. The resin bonds easily with PVC hot pipes, cast, concrete and more. It is able to save customers both time and money because no surface restoration is required. Underground piping can be replaced without affecting any surface material. If anyone in Dallas or Austin, Texas believes they have a piping system that could benefit from Nu Flow pipelining, they should contact the Texas Master Plumbers at Accurate Leak and Line. We are the experts at detecting leaks and providing the most cost effective solutions. Contact us to schedule an appointment today!